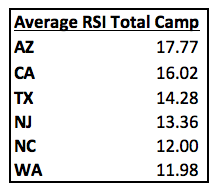 For the first Rubio Long Snapping spring camp in CA, the RSI scores are shown here, the NC RSI scores are shown here, the WA RSI scores are here, the TX RSI scores are shown here, the AZ RSI scores are shown here and the NJ scores are shown here. 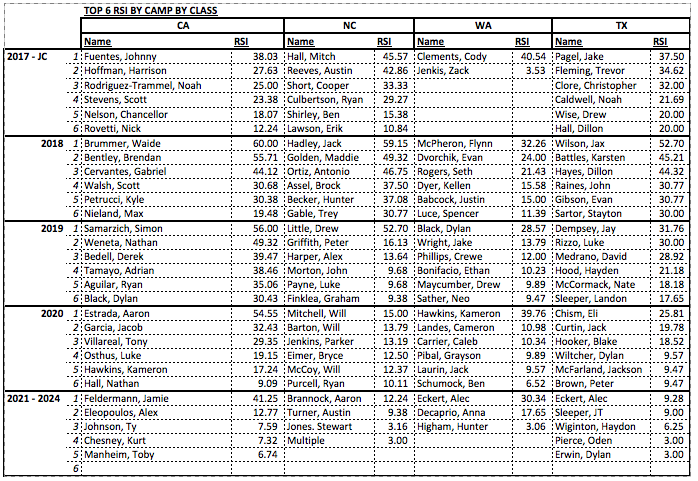 Now that six camps have concluded, here are the comparisons and contrasts between the geographical areas and their Long Snappers. 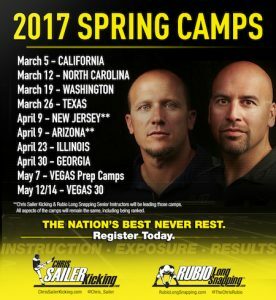 Only a couple of spring camps left to knock AZ off the top of the mountain…sorry CA, you held the title for some time but AZ has it now! 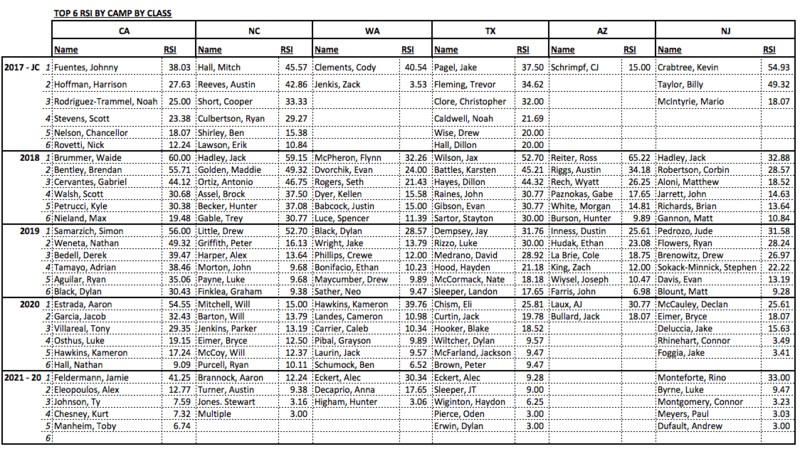 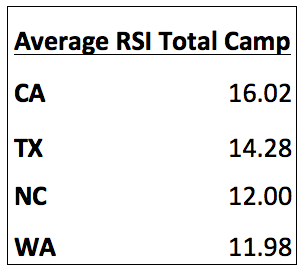 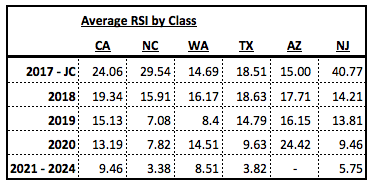 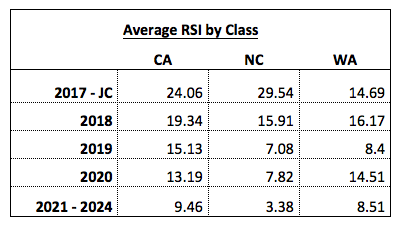 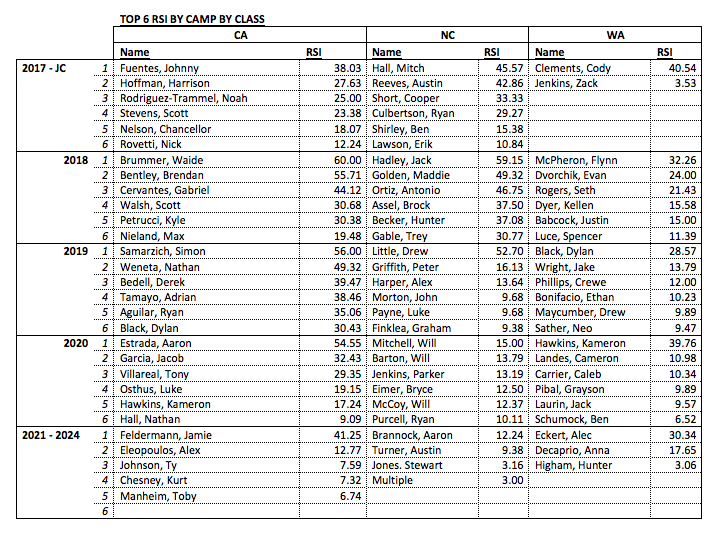 For the first Rubio Long Snapping spring camp in CA, the RSI scores are shown here, the NC RSI scores are shown her, the WA RSI scores are here and the TX RSI scores are shown here. 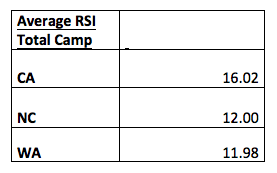 Now that four camps have concluded, here are the comparisons and contrasts between the three geographical areas and their Long Snappers. 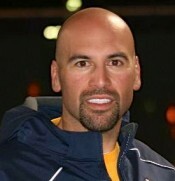 Only a couple of spring camps left to knock CA off the top of the mountain!